If you have any questions about the TENEO information page below please contact us. This motor yacht TENEO is a superyacht of well proportioned proportions. This 37 m (120 foot) luxury yacht was begun and finished by Hesaro Shipyard in 1999. TENEO was previously registered as the project or yacht name Seaworld Ii. The naval architecture office that made her design for this ship is Gilles Vaton. Vincent Duchatelet / H2x (Refit) in addition was responsible for her interior design. The yacht's general design work came from Gilles Vaton. The technical naval architect firm drawings are a creation of Gilles Vaton. Motor Yacht TENEO received her elegant interior designing from the interior design company of Vincent Duchatelet / H2x (Refit). Morocco is the country that Hesaro Shipyard built their new build motor yacht in. After official launch in 1999 in Agadir she was then released to the proud new owner having completed sea trials. The main hull was crafted from aluminium. The motor yacht main superstructure is fabricated largely from aluminium. With a beam of 8.06 m or 26.44 feet TENEO has spacious room. A reasonably shallow draught of 2.1m (6.89ft) selects the list of worldwide marinas she can berth in, depending on their minimum depth at low tide. She had refit improvement and alteration work carried out in 2009. 36.55 metres / 119.91 feet. 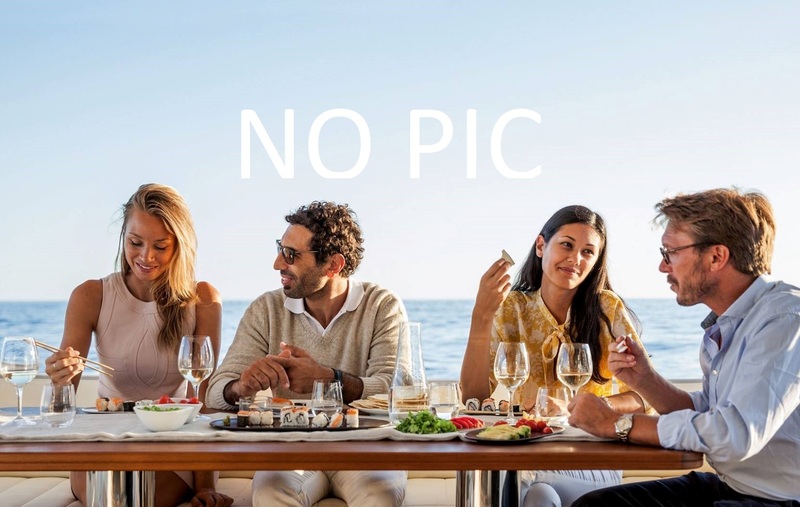 The luxury yacht TENEO displayed on this page is merely informational and she is not necessarily available for yacht charter or for sale, nor is she represented or marketed in anyway by CharterWorld. This web page and the superyacht information contained herein is not contractual. All yacht specifications and informations are displayed in good faith but CharterWorld does not warrant or assume any legal liability or responsibility for the current accuracy, completeness, validity, or usefulness of any superyacht information and/or images displayed. All boat information is subject to change without prior notice and may not be current.